This is the second album by the Polish ensemble Yeshe, led by the legendary trumpeter/composer Antoni Gralak, who was a member of such groundbreaking Polish ensembles as Free Cooperation, Young Power and Tie Break and participated in countless other projects over the years, including leading his ensembles like Graal and Yeshe. 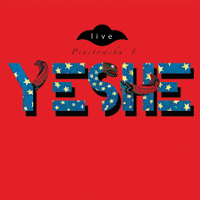 This incarnation of Yeshe includes also guitarist Piotr Pawlak and keyboardist Darek Makaruk who is in charge of a plethora of electronic effects and sampling. The music, all original by Gralak, was recorded live and is dedicated to the Polish pioneering visual Artist Andrzej Urbanowicz. Stylistically the music presents a wide spectrum of contemporary musical trends and incorporates such diverse influences as Avant-garde Jazz, electronic music, Techno, Industrial and World Music. The amalgamated result is a completely original and unique blend, which is fascinating and electrifying from start to finish. The basic formula presents Gralak improvising on top of an ambient/sampled background, which changes from track to track both rhythmically and conceptually. A trained listener will hear many citations form Indian and other Far Eastern Cultures, as well as samples of exotic instruments like sitar, tabla and a plethora of others. Gralak's trumpet work is nothing short of brilliant and brings immediately memories of his Free Cooperation cohort Andrzej Przybielski, who is sadly no longer with us. Throughout the entire duration of this album Gralak improvises almost without a break, in a truly phenomenal form. This album is not only a rare musical gem, but also a wonderful example of completely boundless music, which crosses cultural, stylistic and time borders effortlessly and elegantly. It definitely deserves a much wider recognition that it actually has today. Brilliant stuff! 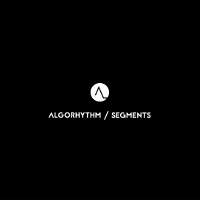 This is the debut album by the young Polish Jazz quintet Algorhythm, which comprises of trumpeter Emil Miszk, saxophonist Piotr Chęcki, pianist Szymon Burnos, bassist Krzysztof Słomkowski and drummer Sławomir Koryzno. It presents seven original compositions, five by Burnos and two by Miszk. The classic Jazz quintet setting and the music are all well within the mainstream Jazz tradition, presenting modern, vital and interesting European version of the standard Jazz idiom, as usual drenched in the Polish lyricism and melancholy, which characterizes Polish Jazz. The compositions are well rounded and definitely non-trivial, with many odd rhythmic patterns; with altogether create an interesting listening experience. Personally I think the two compositions by Miszk are the best on the album, but the ones by Burnos do not fall far behind. The dynamic development and atmosphere of these pieces is quite remarkable. All three soloists perform splendidly and play several impressive passages and the rhythm section does a superb job supporting them all the way through, handling the complex rhythms elegantly and flawlessly. Again Chęcki seems to be the most impressive soloist on this album, but his colleagues are all gifted musicians and in time are sure to join the ranks of top Polish Jazz players. This is definitely an impressive debut, which deserves praise and support and as always makes me wonder how such young people are able to produce such mature and well developed music. Well done indeed! Wojtek Jachna i Ksawery Wójciński, zbalansowana trąbka i szalony kontrabas. Pozornie dwie diametralnie różne osobowości, z dwóch zupełnie odmiennych muzycznych biegunów, stworzyły spójny, jednorodny i szalenie interesujący obraz subtelnej improwizacji, pełnej stonowania i idealnego wyważenia proporcji. 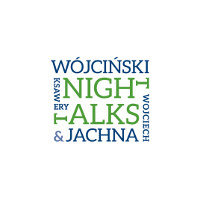 A potem była improwizowana sesja w Bydgoszczy i tak doszło do nagrania "Night Talks". 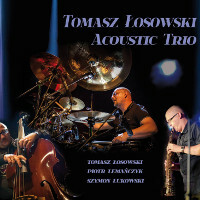 Veteran Polish drummer Tomasz Łosowski is mostly acknowledged for his work in the Pop, Rock and Fusion fields, but this album is his first attempt to play straight Jazz. In order to do so he asked his old friend, the excellent bassist Piotr Lemańczyk and a young saxophonist Szymon Łukowski to join him and together they recorded eight original compositions, seven of which were composed by Lemańczyk and one by Łukowski. The resulting acoustic trio delivers a set of excellent pieces, featuring the saxophone as the main soloing instrument, solidly supported by the rhythm section. Lemańczyk also plays several of his amazing bass solos, which are perfect as always, and the leader, avoiding any pyrotechnics and usually completely unnecessary drum eruptions, sticks to the basics and pushes the trio ahead rhythmically, always with taste and elegance. Saxophone trios are often quite difficult and perilous undertakings, but in this case everything works as the proverbial "dream". The beautiful melodic themes, performed and improvised upon by the lyrical and clean sounding alto saxophone are a true pleasure to listen to. There is a lot of freedom, space and mutual respect among the trio members, which allows for personal expression as well as tight communication between the players. Overall this is quite a surprisingly successful album, which manages to avoid all the traps of mainstream Jazz, being unpredictable, passionate and technically proficient. Definitely a piece of music well worth discovering and wholeheartedly recommended! 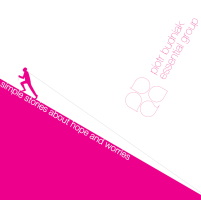 This is the debut album by young Polish Jazz drummer/composer Piotr Budniak and his sextet called Essential Group, which also includes trumpeter Paweł Południak, saxophonist Wojciech Lichtański, guitarist Szymon Mika, pianist Kajetan Borowski and bassist Alan Wykpisz. Vocalist Michał Sobierajski guests on one track. The album presents seven original compositions, all by the leader, who also wrote the lyrics to the vocal piece. Budniak, who returned to playing Jazz after a brief encounter with Rock-Folk as member of the ensemble LemON, which stirred quite a sensation on the local music scene, explores the Jazz tradition but maintains a fresh perspective, especially as a composer. The resulting music is a mixture of contemporary Jazz and Jazz-Rock Fusion, with a dash of Pop & Rock, performed efficiently and elegantly by the sextet. The emphasis on melody and lyricism creates an overall atmosphere of relaxation and lack of tension, which can be a two edged sword. The young players, who are members of the sextet, are all upcoming heroes of the next generation of Polish Jazz, many of which have already shown their chops on other recording released in recent years. Mika is the most noticeable soloist by far and Wykpisz slowly emerges as a very promising bass player, who can literally hold a tune like an old pro. These two are definitely worth following with special attention. But all the other players, including the leader, are fine young talents, who will be heard and noticed in the future. The focus of this album is obviously on the compositions, and rightly so, as Budniak has definitely a lot to say in that department. All of his compositions here are nicely crafted and a pleasure to listen to. The only drawback of this music is that it lacks originality and passion to explore uncharted territory, but perhaps it's unfair to ask for boldness at this stage. This is definitely an impressive debut effort, which should make all the participants proud of their achievements. I am looking forward to their sophomore album in order to follow their progress. 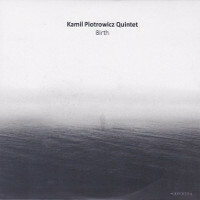 This is the debut album by Polish Jazz pianist/composer Kamil Piotrowicz recorded in a quintet setting with trumpeter Emil Miszk, saxophonist Piotr Chęcki, bassist Michał Bąk and drummer Sławomir Koryzno. It presents nine original compositions (one appearing twice and another based on a Folk tune) by Piotrowicz and one standard. The music is mostly quite conventional, well within the mainstream Jazz format, with occasional less constrained and more open moments. The compositions are however quite sophisticated and often feature several subsections with different rhythmic patterns and melodic themes, tuning them into mini-suites. The overall level of these compositions is certainly well advanced, especially in view of the young age of the composer. The arrangements feature the entire ensemble extensively, with the brass section up front, in charge of most of the solos, and the leader staying relatively in the background. It is pretty obvious that the emphasis of this album is in the following order of importance: compositions, arrangements, ensemble performance and only then individual solos. All the young members of the quintet have already some experience and appear on earlier recordings and they are the new generation that will dominate the Polish Jazz scene in the years to come. Judging by what they are able to do herein, things look pretty promising. This is definitely a most impressive debut effort, which although does not break any new ground, certainly proves that there are still infinite opportunities within the established borders of Jazz. Congratulations are in order and of course I'm already waiting for the next endeavor. This is a live recording by one of Polish Jazz Godfathers, saxophonist/composer Jan Ptaszyn Wróblewski and his sextet, which also includes trumpeter Robert Majewski, saxophonist Henryk Miśkiewicz, pianist Wojciech Niedziela, bassist Sławomir Kurkiewicz and drummer Marcin Jahr, all renowned Polish Jazz musicians. As the album's title suggests, Wróblewski (born 1936) pays tribute to three Polish Jazz icons, with whom he played as a young musician: Krzysztof Komeda (born 1931), Andrzej Trzaskowski (born 1933) and Andrzej Kurylewicz (born 1932). Sadly all three are no longer with us. Of the six tracks on the album, three were composed by Komeda, two by Trzaskowski and one by Kurylewicz. In the liner notes Wroblewski lists the many differences between these three legendary figures and his personal experiences from the encounters with them. The music is kept well within the mainstream modern Jazz idiom, perfectly and flawlessly performed by all the musicians involved, but somehow lacking the excitement and exhilaration one might expect but such classy company and such ambitious task. The arrangements of the remarkable compositions presented herein are also not in par with the expectations, especially the Komeda tunes, which sound as if they were simplified and sound way too "smooth" in comparison to their original form, as intended by the composer. Overall this is a first class collection of classic Polish Jazz compositions, played by a highly professional sextet, which sadly fails to reach the level of depth and sincerity these tunes deserve. Of course mainstream Jazz enthusiasts will find this album to be perfectly adequate, but for me a feeling of a missed opportunity is lingering as this music plays in the background. The individual solo spots, which are quite impressive in some cases, fail to save the day. I'm sure Wróblewski and his cohorts will rise to the challenge again next time. 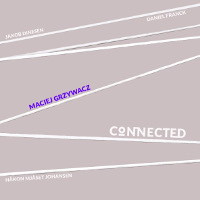 This is the sixth album by Polish Jazz guitarist/composer Maciej Grzywacz recorded in a quartet setting with three Scandinavian musicians: Danish saxophonist Jakob Dinesen, Swedish bassist Daniel Franck and Norwegian drummer Hakon Mjaset Johansen. The album presents eight original compositions, all by Grzywacz. The music is a melodic contemporary Jazz, which sounds fresh and interesting from the very first notes and manages to keep the listener in suspense till the very last notes. The guitar/saxophone dual front line works very well, as both players move elegantly between the unisono parts to individual solos and back to the melody. Grzywacz does a wonderful job playing soft but complex guitar chords behind the saxophone solos and of course plays many well constructed solos. Dinesen is obviously the most expressive musician in this quartet, playing long stretches of improvisation, without loosing the melody line even for a moment. The rhythm section plays in typical Scandinavian pattern, with the bass driving the music forward with a steady pulse and the drums playing around the beat, rather that keeping time. In spite of the fact that the album features three Scandinavian musicians, it does not suffer from the typical Scandinavian lethargy that puts many music fans to sleep very effectively. Most of the music is lively and up tempo, with virtuosic solos ripping the air. Even the slower numbers have a lot of energy and vigor and keep the listener in check. There is quite a lot of freedom in the way the quartet works together, giving each other space and respect. This album is one of many projects with Polish and Scandinavian musicians collaborating, like they did in the 1960s and 1970s, which is one of the many interesting aspects of the new Polish Jazz scene. Personally I find the work of Dinesen especially rewording on this album, which is hardly surprising considering his huge success he enjoys back hope and internationally. Also this is surely the most complex and ambitious album Grzywacz recorded to date, which of course is commendable. Seeing him developing over time is truly rewarding. This is definitely a piece of music worth checking out as it holds many truly wonderful moments. Gitarzysta Marek Kądziela i kontrabasista Ksawery Wójciński to wiodące postaci polskiej sceny muzyki improwizowanej. Każdy z nich może się pochwalić bogatym doświadczeniem, zdobytym dzięki udziałowi w rozmaitych projektach artystycznych (Hera, Hunger Pangs, Charles Gayle Trio, Off-Quar-Tet). Obaj też są absolwentami renomowanych szkół muzycznych. Marek Kądziela ukończył The Carl Nielsen Academy of Music Odense w Danii, a Ksawery Wójciński - Bydgoską Akademię Muzyczną w klasie kontrabasu. To, co jeszcze ich łączy, to otwartość na wszelkiego rodzaju inspiracje, nowe rozwiązania brzmieniowe i kreatywne podejście do własnej twórczości. 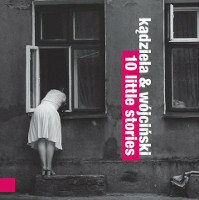 "10 Little Stories" to efekt ich trzech spotkań w studiu nagraniowym w Łodzi na przestrzeni 2013 i 2014 roku. Jak sami twierdzą, album to "zbiór opowiadań, których treścią i osią jest przyjaźń. Owocem tej przyjaźni jest niezwykłe porozumienie, które zaistniało pomiędzy muzykami". Można zatem domniemywać, co tylko potwierdza zawartość "10 Little Stories", że mamy do czynienia z bardzo luźną koncepcją pełną niedopowiedzeń, pozostawiającą słuchaczowi szerokie pole do interpretacji. I tak jest w rzeczywistości. Marek Kądziela i Ksawery Wójciński w przekonujący sposób eksperymentują z brzmieniem i formą. Nakreślają melodie, które szybko przemijają, rozpływając się w interesujących improwizacjach. Bardzo ciekawym zabiegiem artystycznym są też pojawiające się wokalizy Wójcińskiego, spełniające rolę kolejnego instrumentu w melancholijnym "The Song". Kądziela w swojej grze na gitarze wychodzi poza utarte schematy. W "Alex, No Exit!" zapewne nieświadomie przypomina mi o czasach świetności amerykańskiego niezależnego rocka w stylu June Of 44 czy Jima O'Rourke'a. W innych momentach jego gitara brzmi klasycznie jazzowo, a nie brakuje i odniesień do psychodelii poprzez stosowanie różnego rodzaju efektów. Opowieści na gitarę i kontrabas w wydaniu Marka Kądzieli i Ksawerego Wójcińskiego urzekają nieoczywistą narracją, wyrazistością oraz autorską wizją artystyczną. Muzycy nie próbują zmieścić się w jakiejś konkretnej szufladce stylistycznej. Popuszczają wodzę fantazji, czego efektem jest bardzo udana, a zarazem indywidualna wypowiedź świadomych swoich umiejętności artystów. This is the fifth installment in a new series of albums launched by the Polish Radio, which presents radio recordings by the Godfather of Polish Jazz, pianist/composer/bandleader Krzysztof Komeda. Komeda is of course the most familiar name associated with Polish Jazz and his legacy is of crucial importance to Polish and European Jazz. Considering the fact that Komeda's studio recordings are relatively scarce, the radio recordings are in fact the main source of his recorded legacy, as they include among others the Jazz Jamboree festival appearances by Komeda and his various ensembles over the years. Eight of the ten tracks on this album were recorded between 1961 and 1964 during the forth to seventh edition of the seminal Jazz Jamboree Festival in Warsaw, this collection showcases legendary Komeda ensembles (quintet/trio), which in many respects were the quintessential vehicles, which presented Komeda's music at its pinnacle. Two additional tracks were recorded in the Polish Radio Studio, both featuring vocals, the second of which is especially interesting as it presents an early recording by vocalist Urszula Dudziak. The musicians, besides Komeda of course, include top Polish Jazz musicians at the time: trumpeter Tomasz Stanko, saxophonist Michal Urbaniak, bassists Maciej Suzin and Roman Dylag, drummer Czeslaw Bartkowski, vocalist Wanda Warska and others, as well as Swedish musicians: saxophonist Bernt Rosengren and drummer Rune Carlsson. The music is of course selected to reflect Komeda's involvement with composing music for cinema, theatre and ballet. A few bonus tracks are also added, which are not connected with the above, but present rarely heard Komeda's recording. Overall this is a collection of excellent Jazz music, superbly performed, which is an absolute delight to anybody who loves Jazz. It is a fundamental piece of every decent Polish Jazz record collection, especially in the case of the younger generation of listeners, which is just getting acquainted with the enormous legacy of Polish Jazz. The recordings are splendidly restored and remastered and nicely packaged in an elegant digipak/slipcase. Dates, places and lineups are faithfully included and even personal liner notes by Polish Jazz critic Filip Kosinski are present, but there is no in-depth background material about Komeda and his music, however considering the plentitude of published material and several excellent books on the subject, an intelligent listener can easily bridge the knowledge gap. The only small reservation one might have is the fact that these recordings have been already released many times, more or less legally on the somewhat untamed Polish music market, which means they is already owned by the serious Polish Jazz collectors, probably more than once. This is a wonderful album, which presents twelve original compositions by Polish pianist/composer Malgorzata Maliszczak, based on poems (by prominent Polish poetesses and poets), which present the feminine "point of view". The beautiful texts and superb music go hand in hand, creating a gorgeous set of songs, carefully arranged and Jazzed up, performed by four vocalists: Lora Szafran, Mietek Szczesniak, Beata Przybytek and Agnieszka Mali. The vocalists are supported by a great team of instrumentalist, including many of the top Polish Jazz players, like the great pianist Pawel Tomaszewski, bassist Andrzej Swies, drummer Pawel Dobrowolski and many others. Kudos to Tomasz Kalwak for producing this gem! The album firmly continues the Polish Jazz & Poetry tradition, which goes back to the 1960s and always has been one of the most successful expressions of the local Culture. It is good to see that it has not been abandoned so far, even though the contemporary music scene makes every effort to annihilate every sign of Culture itself. Of course the fact that these poems were written in the Polish language limits the potential audience, I'm pretty sure that even non-Polish speakers should be able to enjoy this album in full. Personally I find Beata Przybytek to be the most striking vocalist on this album, but all four artists make a grand job, including the veteran Szafran, who seems to be still in great form. The instrumental work is perfectly suiting the lyrical atmosphere, with subtle soloing and attentive accompaniment. This album simply says "elegance and grace" minute after minute, and when it is eventually over, one longs for more. Overall this is a splendid effort and everybody who contributed to its creating deserves to be wholeheartedly thanked and congratulated. One can only hope that it will be heard by as many people as possible, who can truly appreciate it. This is the third album by Polish Jazz bassists/composer Wojtek Mazolewski and his quintet, which also includes Slovak trumpeter Oskar Torok, saxophonist Marek Pospieszalski, pianist Joanna Duda and drummers Qba Janicki and Michał Bryndal. 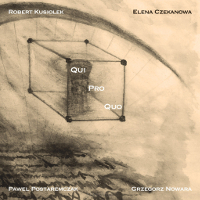 The album presents twelve compositions (one repeated twice), six of which are originals by Mazolewski, two are originals by Duda, one is credited to the entire quintet and three are covers. The music on this album was written over a long period of time and reflects the personal life of the leader and the touring experiences by his quintet, as well as their musical preferences. 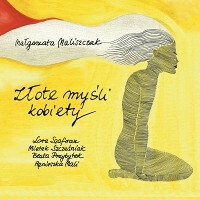 It is a mixed bag of various influences, including Jazz but not necessarily strictly connected with Jazz, as usual with Mazolewski's albums. His tap-dance between Jazz and more popular Pop & Rock idioms seem to work miracles during the quintet's live shows, which are extremely well attended by enthusiastic audiences, but it does not translate that well into albums, like this one, which are a mixed, unfocused bag. Of course these are top-notch players, especially Duda, who displays a remarkable ability to adopt her playing to the various musical environments present herein and sets her own voice in her compositions. The sound is smooth and likeable as is the music and overall this album is a lot of fun to listen to, but leaves very little of an afterthought. The album is beautifully packaged in a fancy digibook format, with great photos and Mazolewski's reflections about the music. BTW the work "Polka" has a double meaning: a Folk dance (of Czech origin) and a Polish female person; a dichotomy Mazolewski explores in detail. Informujemy, że rekrutacja na warsztaty została przedłużona do dnia 20 lipca. Kontakt: warsztaty@modernjazz.pl, 880 451 072. This is the fifth album as a leader (or co-leader in this case) by Polish guitarist/composer Marek Napiórkowski, one of the most respected musicians on the local scene. 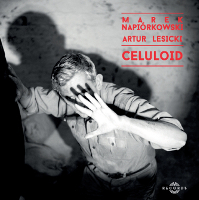 This time Napiórkowski teams up with another Polish guitarist/composer Artur Lesicki, and as a duo they deliver a series of wonderful tunes, dedicated, as the title suggests, to the Polish Cinema and the music associated with Polish Cinematic Art. The album's nine tracks feature music from six classic Polish movies (or TV series), composed by such luminaries as Krzysztof Komeda, Tomasz Stańko, Wojciech Kilar, Andrzej Kurylewicz and others, directed by no less iconic figures such as Roman Polański, Andrzej Wajda and others. Both Napiórkowski and Lesicki contribute one original composition each, with the title tune (by Napiórkowski) repeated twice. The intimate and delicate duet setting creates a truly magical atmosphere, with the perfect balance between the acoustic and touches of electric sound, melody and improvisation, lyricism and inspiration. In fact this is definitely one of the best guitar duo albums I had the pleasure to listen to ever since I can remember. It is a perfect example of a case when two musicians simply amalgamate into one completely symbiotic and integral musical unit. Although obviously at some moments one of the players does play the lead and the other accompanies him, interchangeably of course, they are at all times simply one instrument, producing a coherent and fused soundscape. The music selections as well as the original compositions are all beyond reproach and the affectionate and intelligent treatment applied by the musicians awards everything such great music deserves: respect, love and personal involvement. Although seemingly basic and simple, the resulting music is full of intricacies that can be revealed only by very attentive and open-minded listening, which this exquisite album truly deserves. It is such a pleasure to see Napiórkowski move forward and try new things on his musical path. Compared to the complexity and sophistication of his previous album "Up!" the intimacy and modesty of this album might appear as strikingly different, and yet Napiórkowski manages to preserve the quality and total dedication in full, regardless of the external form of his work. There are but a few musicians around with such class. In short this is simply a gem of an album, which enchants and uplifts spiritually from the very first to the very last note delivered. Superb sound quality and production turn it into a superb aesthetic treasure, which should not leave any listener unmoved. Hats off to both magicians! This is the twenty-third installment in the series of releases initiated by the Polish Radio, which presents archive Jazz recordings from the radio vaults. Radio recordings are always a fabulous source of remarkable material, and as far as Polish Jazz history is concerned, the Polish Radio, which was a state monopoly for 45 years, recorded over time a plethora of invaluable material, which apart from the albums released by the Polskie Nagrania record company (also a state monopoly), is the only available additional source of Polish Jazz recordings. For many years Polish Radio recorded concerts presented during Poland's most important Jazz venues, including the annual Jazz Jamboree Festival and many other festivals as well. The nineteen tracks collected here were recorded in 1964 by the Polish Radio Jazz Orchestra conducted by pianist/trumpeter/trombonist/composer Andrzej Kurylewicz. Sixteen tracks were recorded by the Polish Radio Studio during various sessions and three were recorded live during the seventh Jazz Jamboree Festival. The orchestra included at the time several well known musicians, like saxophonists Michał Urbaniak and Zbigniew Namysłowski, vibraphonist Jerzy Milian and others. The material is a mixture of Jazz standards (five tracks) and original compositions by Polish Jazz composers: Jan Ptaszyn Wróblewski (six tracks), Jerzy Milian (three tracks), Andrzej Trzaskowski (two tracks), Edward Dyląg (two tracks) and Michał Urbaniak (one track). The arrangements and orchestrations are firmly based in the American Big Band tradition, but the overall sound of the orchestra already shows the European approach and the majority of original compositions reflects the tendency to find a new path, which will take big format Jazz another step forward in the years to follow. Of course the individual performances, soloing and orchestral harmonization are all top-notch. In the historic perspective this is a superb document of the transition between the American influenced Jazz and the emancipated European Jazz that is about to erupt, including the big format Jazz environment. Trzaskowski, of course, was definitely one of the pioneers of this new movement, and his influence was crucial as far as the Polish Jazz is concerned, prompting and leading it to make the shift. Marcin Masecki, porzucając na chwilę rolę pianisty-improwizatora, wypróbował swych sił jako kompozytor. Autor wykorzystał formę klasyczną o sporej tradycji: wariacje. Ułożył ich dziewiętnaście, każda trwa od dziewięciu sekund do dziewięciu minut. Nowością jest też to, że nie zagrał swego dzieła sam: wariacje powierzył Piotrowi Nowickiemu. 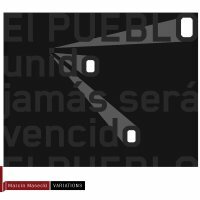 Za ich temat wziął pieśń "El Pueblo Unido, Jamás Será Vencido!" (tłum. Lud zjednoczony nigdy nie będzie zwyciężony!). To nieformalny hymn przeciwników Pinocheta z czasów puczu w Chile w 1973 roku. Pieśń rewolucyjna. Piosenkę tę przejmują i modyfikują na swoje potrzeby różne ruchy lewicowe i antywojenne, została choćby sparafrazowana przez raperów ukraińskiej "Pomarańczowej rewolucji" w 2004 roku (a potem wykonana na Eurowizji…) – jako "Razom nas bahato". Czyżby Masecki poszedł tropem pianisty-eksperymentalisty – i lewicowca zaangażowanego politycznie – Frederica Rzewskiego, który stworzył na temat "El Pueblo Unido, Jamás Será Vencido!" cykl trzydziestu sześciu wariacji? O ile u Rzewskiego rozumiemy kontekst, przesłanie, to u Maseckiego temat staje się formą zabawy. Nie ma w jego wariacjach krzty powagi wpisanej w naturę tej pieśni. Jest za to nieustanne burzenie i budowanie jej interpretacji. Jakby Masecki ciągle dobierał do niej nowe przebranie, różne oblicza. Na początku temat pieśni poddawany jest dekonstrukcji w stylu typowym dla stylistyki Maseckiego, do tego z nutą jazzową. Miejscami kompozytor wydaje się zachwycać linią melodyczną. Tak, ona potrafi być urocza. Zostaje więc wyśpiewana w dynamice piano w jedno- i dwugłosowym andante. W środkowych ustępach muzyka staje się oniryczna, daleka, jak marzenie z przeszłości. Następnie nachalna, repetytywna – cztery ustępy po około dziesięć sekund, a każdy niezwykle podobny. Zamiast fortepianu słyszymy w nich pianino, którego struny i mechanizmy młoteczkowe nadwątlił już czas. Na koniec owe zdegenerowane dźwięki przeistaczają się w akordowy finał przeplatany melodiami radości oraz harmoniami strachu, a wszystko jakby latino (czyżby to nawiązanie do południowoamerykańskiego rodowodu pieśni?). Czysta groteska. I słuchacz nie wie, czy ma pogłębiać swoją refleksję nad tym wszystkim. A może nie ma w tych wariacjach-wariactwach żadnej większej wartości? Sam Masecki nie wypowiada się na temat swojego dzieła w superlatywach. To dobrze o nim świadczy. 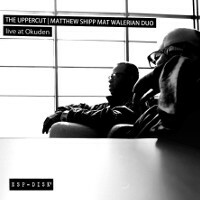 This wonderful album presents a live recording by a duo comprising of American pianist/composer Matthew Shipp, one of the most important contemporary American avant-garde activists, with multi-instrumentalist/composer Mat Walerian, a Polish musician resident in the US, who plays saxophone, clarinet and flute. The album was released on the legendary NY label ESP, one of the most important independent record labels in the history of avant-garde Jazz and Rock, founded in 1963 by a Jewish lawyer Bernard Stollman (who sadly died just three weeks ago) and its catalogue included some of the most important music recorded in America (and also sporadically in Europe) in the 1960s. The label stopped its activity in 1975 and was dormant for thirty years, resuming activity in 2005 and since releasing many new recordings, such as this one. This album presents ten compositions, six of which were composed by Walerian and four co-composed by Shipp and Walerian. The music is incredibly fresh and inviting, and although it is definitely free spirited and highly improvised, it also offers a strong melodic content, which makes it accessible to a much wider audiences than the usual avant-garde recordings, which can be self-centered and sound cold to listeners. This album is a rare and beautiful example of avant-garde music, which transfers well to record, retaining its spirit and intimacy, which is often present live but gets lost when turned into a record. There is a rare and almost telepathic dialogue between the two musicians, exchanging phrases, notes and rhythmic gestures between them, as if those were rehearsed or preconceived, which is pretty rare. Both musicians play gently and cooperatively, avoiding any power struggles which often characterize duo recordings. This music is fully harmonious and inspirational, a true example of the "Art of the Duo" idea. The musical qualities of Shipp are of course no secret to the follower of his outstanding career, but Walerian emerges triumphantly as a virtuoso performer, with original ideas and a complete command of his instruments. His playing on this album immediately earns him respect and admiration from connoisseurs of the genre and of course anticipation for his new projects. Overall this is one of the best avant-garde albums I listened to lately, which deserves all the praise it can get and hopefully will reach as many open minded listeners as possible. An absolute delight! 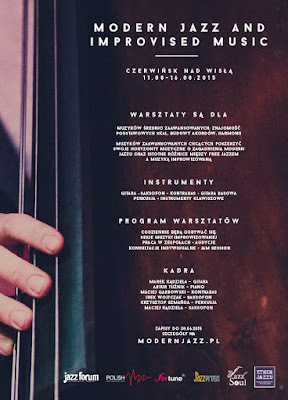 W ramach dwunastej edycji Festiwalu Kultury Żydowskiej Warszawa Singera już po raz drugi odbędzie się cykl imprez jazzowych pod hasłem „Singer Jazz Festival”. Wydarzenia tegorocznego festiwalu jazzowego będą prezentować dokonania żydowskich muzyków i kompozytorów oraz obecne w jazzowych formach artystycznych motywy muzyki żydowskiej. Singer Jazz Festival potrwa 8 dni, od niedzieli 23 sierpnia do niedzieli 30 sierpnia 2015 r. i będzie obejmował 13 wydarzeń – koncertów i spotkań wokół tematyki jazzowej. Od początku ery jazzu, czyli od ponad stu lat, muzycy żydowscy odgrywali niezwykle ważną rolę w rozwoju tego gatunku jako formy sztuki. Nieodłącznie towarzyszące narodowi żydowskiemu trudy w wielu aspektach przypominały próby, których doświadczali twórcy jazzu – Afroamerykanie. Dlatego też nie dziwi fakt, że muzycy żydowscy, poza Afroamerykanami, tworzyli największą grupę kulturowo-etniczną, która nie tylko grała jazz, ale poświęciła mu także swoje życie. Singer Jazz Festival składa hołd tymże artystom, prezentując szeroki wybór stylów i form jazzowych powstałych w różnych krajach, w których jazz w wykonaniu żydowskim rozkwitał i kreował nową, przełomową jakość, rozszerzając granice możliwości muzycznej ekspresji. W Polsce jazz przeżywa obecnie renesans, dlatego też w wydarzeniu weźmie udział wielu wspaniałych polskich muzyków jazzowych. Zagrają oni koncerty i wezmą udział w nieformalnych jam sessions, które odbędą się zarówno w znanych klubach, jak i na kameralnych imprezach. Motywem przewodnim wszystkich występów będzie jazz w wydaniu żydowskim, który jest inspiracją wielu współczesnych polskich jazzmanów. Gościem specjalnym festiwalu będzie Albert Beger – jeden z liderów izraelskiej sceny jazzowej. Singer Jazz Festival odbywa się pod dyrekcją artystyczną Adama Barucha, znanego krytyka, organizatora i działacza muzycznego – prawdziwej osobistości świata jazzu, którego aktywna obecność na scenie muzycznej trwa już kilka dziesięcioleci. Program konsultował Tomasz Łuczak, aktywista młodej sceny jazzowej w Polsce. Podczas spotkania tegoroczny gość specjalny Singer Jazz Festival Albert Beger – izraelski saksofonista i flecista, kompozytor i lider składów muzycznych, a przede wszystkim, jeden z najbardziej rozpoznawalnych muzyków izraelskiej sceny jazzowej – będzie opowiadać i swoim życiu, i o drodze rozwoju muzycznego, jaką przebył. Odpowie także na pytania uczestników spotkania. Spotkanie z przedstawicielami polskiej sceny jazzowej działającej poza głównym nurtem machiny komercyjnej: właścicielami wytwórni, organizatorami festiwali, dziennikarzami i innymi działaczami alternatywnej sceny jazzowej. Dyskusję poprowadzi Adam Baruch, dyrektor artystyczny Singer Jazz Festival. W koncercie otwierającym Singer Jazz Festival, wraz z izraelskim saksofonistą Albertem Begerem, wystąpią Bartłomiej i Marcin Oleś – duet braci jazzmanów, tworzących najlepszą obecnie sekcję rytmiczną polskiego jazzu. Polska wokalistka, improwizatorka i kompozytorka ELMA – sensacyjne, ubiegłoroczne odkrycie polskiej sceny jazzowej – wystąpi w improwizowanym duecie z izraelskim saksofonistą Albertem Begerem. Wybitny polski pianista, kompozytor i pedagog Kuba Stankiewicz, wraz ze swoim trio, wykona utwory Bronisława Kapera, amerykańskiego kompozytora wywodzącego się z rodziny polskich Żydów. Koncert jest kontynuacją projektu poświęconego amerykańskim twórcom polskiego pochodzenia, który Stankiewicz rozpoczął w ostatnich latach, grając muzykę Victora Younga. Warszawa, w latach pomiędzy pierwszą i drugą wojną światową, była epicentrum kultury żydowskiej. Wiele spośród piosenek, które wówczas rozbrzmiewały w klubach i kabaretach, są wciąż nieśmiertelnymi przebojami. Koncert, według pomysłu Adama Barucha, opracowany artystycznie i muzycznie przez Jana Smoczyńskiego, jest hołdem dla muzyki tamtego okresu. Jeden z najlepszych polskich zespołów jazzowych, prowadzony przez trębacza Wojciecha Jachnę, pianistę Grzegorza Tarwida i perkusistę Alberta Karcha zaprezentuje utwory ze swojego sensacyjnego, debiutanckiego albumu „Sundial”. W drugiej części koncertu do tria dołączy znakomity izraelski saksofonista Albert Beger. Jeden z najciekawszych młodych polskich duetów jazzowych, tworzony przez saksofonistę Sławomira Pezdę i pianistę Mateusza Gawędę, zaprezentuje własną muzykę, po czym – w drugim secie – dołączy do niego izraelski saksofonista Albert Beger. Założony przez Paula Brody’ego, eksperymentujący i łączący elementy jazzu, muzyki klezmerskiej i muzyki świata, zespół Sadawi zaprezentuje niezwykle interesującą mieszankę muzyki improwizowanej – energetycznej, ale też bardzo emocjonalnej. Młode polskie trio jazzowe, w skład którego wchodzą saksofonista Jędrzej Łagodziński, basista Franciszek Pospieszalski i perkusista Szymon Gąsiorek, na co dzień mieszkający i studiujący w Kopenhadze, w pierwszym secie zaprezentuje swoją własną muzykę. W drugim do zespołu dołączy izraelski saksofonista Albert Beger. Jelena Kuljić to pochodząca z Serbii i mieszkająca na stałe w Niemczech aktorka i piosenkarka. Studiowała śpiew w Instytucie Jazzu w Berlinie. Od września 2015 należy do zespołu teatru Kammerspiele w Monachium. Jest liderką zespołów Yelena K & The Love Trio, współtworzy także zespoły KUU! oraz Z-Country Paradise. Jazzpospolita, jeden z najbardziej znanych i lubianych polskich zespołów jazzowych zaprezentuje muzykę ze swojej ostatniej płyty „Jazzpo!” – żywiołową i wyrafinowaną, dopracowaną w każdym szczególe. W drugiej części koncertu połączą siły z izraelskim saksofonistą Albertem Begerem. Spotkanie omawiające dokonania tzw. „Trzeciej Fali Jazzu” – awangardowego ruchu w polskim jazzie lat 80. – z udziałem legendarnych działaczy i muzyków tamtego czasu: Andrzeja Mitana, Wojciech Konikiewicza, i Janusz Yaniny Iwańskiego. Inicjator spotkania, młody działacz, producent i badacz alternatywnej sceny jazzowej w Polsce, Łukasz Strzelczyk zaprezentuje zebrane przez siebie materiały. Spotkaniu przewodniczyć będzie Adam Baruch. This is the fifth album by Polish Jazz quintet New Bone, led by trumpeter Tomasz Kudyk and including saxophonist Bartlomiej Prucnal, pianist Dominik Wania, bassist Maciej Adamczak and drummer Dawid Fortuna. 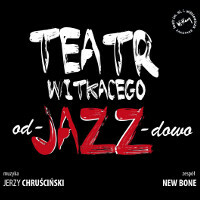 It presents seven compositions by Jerzy Chruscinski, the resident composer of the Witkacy Theater in Zakopane, which were scored for seven different spectacles produced and performed by the Witkacy Theater over time and are now dressed up as Jazz pieces arranged by the members of New Bone. Although Wania, who joined the quintet just before they recorded their previous album, upgraded the overall level of their playing considerably, the quintet struggles from day one with their tendency to copy American Jazz from the 1960 and stay safely within the mainstream idiom, which was a waste of their potential. This album comes as a surprise in some respect, since New Bone make for the first time a serious effort to step up their antiquated approach and move into modern Jazz, still within the mainstream guidelines but at least using wider and less constrained tools to make the music more interesting, thanks more often than not to Wania's superb playing. The arrangements work very well transforming the compositions, which were initially not meant as Jazz compositions, into the Jazz milieu, and are all good examples of the incredible importance and strength of a good arrangements. The performances are also quite excellent, vigorous and well rounded, as appropriate for musicians of such statue. Wania plays a myriad of small accents, chords and little ditties, which add a whole new dimension to this music and which would have sounded much less excitement without them. Prucnal gets at last an opportunity to show his chops and plays some exciting solos, although does not follow Wania in the "thinking beyond the box" approach. The rhythm section does a good job supporting the soloists and keeping the rhythmic dynamics working, but again avoids any attempt to try innovative rhythmic techniques. Overall this is definitely the best album recorded by New Bone, which finally shows hope that they might make it after all into an exciting and interesting musical unit, which they deserve to become. Let's hope for the best. Zastosowanie akordeonu (tudzież harmonium, bandoneonu, bajanu i innych „klawiszo-miechów”) w muzyce „złożonej” kojarzyło mi się dotychczas głównie ze współczesną muzyką klasyczną, kompozycjami Sofii Gubaiduliny i Franza Constanta. Jeżeli interesują was choć trochę „atonalne dreszczowce”, to polecam gorąco wymienioną parę. Partytury Gubaiduliny wyróżniają się spośród innych post-serialistycznych rzeczy zapałem, natchnieniem i rozmachem (co bodajże jest efektem gorliwej wiary kompozytorki). Proszę mi oddać przysługę i posłuchać jej kameralnego „In croce” czy „De profundis” na bajan solo. Constant z kolei eksperymentował z akordeonem, wystawiając ten instrument na czoło orkiestry symfonicznej w swoim kapitalnym „Concerto [na wymieniony skład]”. W nurcie improwizacji nie spotykamy wielu akordeonistów, dlatego cieszy obecność Roberta Kusiołka i jego wybory artystyczne. Na „Qui Pro Quo” słyszymy (poza wspomnianym akordeonem) również fortepian, tubę i saksofon. Na ostatnim z wymienionych instrumentów Paweł Postaremczak gra z niespotykaną finezją, w stylu znanym z jego albumu „Affinity” z 2012 roku (trio z Ksawerym Wójcińskim i Klausem Kugelem). Ale istota rzeczy tkwi raczej w połączeniu barw i brzmień, niż w umiejętnościach pojedynczych muzyków. Bliżej kwartetowi do obrazowej muzyki awangardowej niż do jazzu czy improwizacji. Przechodząc jednak do sedna, czyli do „Qui Pro Quo”: materiał brzmi zaskakująco i piszę to z czystym sumieniem. W pierwszej kolejności uderza melodyjność. Wspaniała melodyjność zbudowana na piekielnie nietypowych taktykach wykonawczych. Żaden członek/członkini kwartetu nie gra w sposób, który zaakceptowaliby konserwatywni słuchacze, a jednocześnie muzyka zamiast traumatyzować i wzburzać, emanuje harmonią. Wędruje z nami leśną knieją, trzymając czule za rękę. Okazjonalnie zdarzają się momenty ekspresyjne, jak np. w „Act III”, ale już w „Act IV” kwartet rozwija na bazie figlarnego saksofonu i kroczącego akordeonu kolejną przygodę fabularną. Elena Czekanowa gra pasjonujące melodie, uruchamiając zarówno klawiaturę, jak i strunowe bebechy fortepianu, a Grzegorz Nowara, cóż, doskonale dynamizuje muzykę niskimi rejestrami tuby. Całość obywa się bez basu i perkusji. Wniosek jest prosty: to wielowymiarowa muzyka dla odważnych słuchaczy. 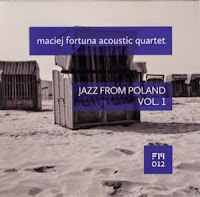 This is a beautiful album by leading Polish Jazz trumpeter Maciej Fortuna, recorded with his acoustic quartet, which also includes pianist Krzysztof Dys, bassist Jakub Mielcarek and drummer Przemyslaw Jarosz. Since the album is intended as a tribute to the great Polish Jazz composers, it presents seven compositions by prominent Polish Jazz figures, such as Krzysztof Komeda (two compositions), Zbigniew Seifert (three compositions), Janusz Muniak (one composition) and Maciej Sikala (also one composition); these four representing three generations of post-WWII modern Polish Jazz musicians/composers. In the liner notes of this album Fortuna mentions the dilemma, which many Polish Jazz musicians struggle with, whether to play Jazz according to the well defined formula originally defined by the American Jazz precursors or play original music with different influences and tendencies, like those characteristic of Polish Jazz for example. This album is his answer, clearly pointing towards the originality and individual search rather than repeated replication of past formulae. Although Fortuna and his cohorts treat the compositions with a great amount of freedom and individuality, the spirit of this wonderful music, its intrinsic Polish melancholy and lyricism, are well preserved and brought from the past to contemporary musical environment. As usual on all albums by Fortuna, his trumpet performances are the focal point of the music. His virtuosic and almost superhuman abilities keep surprising his listeners with each new release and one wonders how far can he still travel from here. The three musicians playing with Fortuna on this album are also incredible by any standard. The young Dys emerges in the last couple of years as one of the leading contenders for the narrow pedestal of top Polish Jazz pianists and the rhythm section does a phenomenal job to keep up with these two "crazy" Geniuses, keeping the music swinging and pulsating, even in its most free form manifestations. Almost on every album by Fortuna that I reviewed over the years I couldn't stop myself from drawing some parallels between Fortuna and Tomasz Stanko. On this album these parallels are stronger and more obvious that ever before, especially in view of the fact that Stanko played in Komeda's ensembles and is subconsciously always associated with his music. Hearing Fortuna playing Komeda immediately brings Stanko to mind, and with deep satisfaction I can say that Fortuna bears the torch without any inferiority complexes. This is a second edition of this album, which was initially released as a limited private edition and is now released on the open market, which of course means that it should be immediately grabbed by every Polish Jazz fan, as albums of this quality do not pop in the open very often.